You could say Black Friday came a day early. 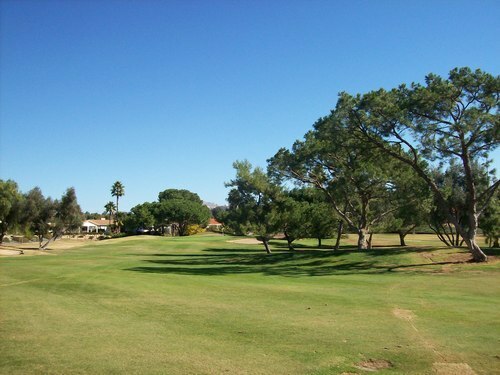 After all, when it came to golf on this Thanksgiving Day, the deals were aplenty. 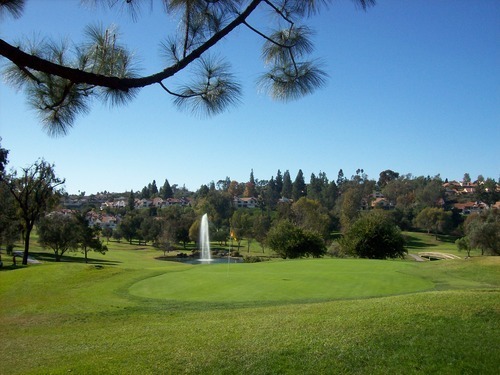 The one I couldn’t resist, however, was GolfNow’s “hot deal” rate at Rancho Bernardo Inn Golf Resort. They had a nice late morning time (10:56) for $50. 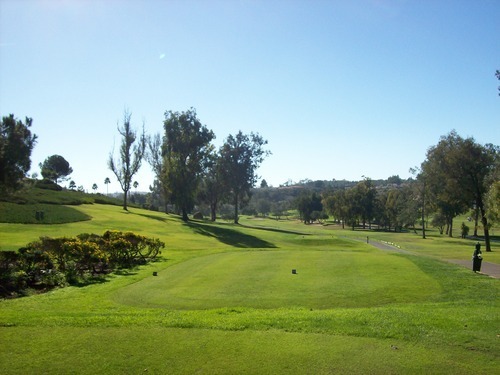 On top of that, I was able to use a promo code (SD20OFF) that is good on any GN hot deal times on JC Golf-affiliated courses in North San Diego County. It saved me an additional 20% ($10), so for $40 it was a steal of a deal on this normally expensive course. Usually, this course is up around the $100 price on weekends and holidays, which is what has kept me away until now. I got out there a little early and they sent me off with a twosome around 10:30. A single caught up and joined us later. We never ran into any groups in front of us and the foursome directly behind us never crowded, so it was a nice relaxed pace on a gorgeous November day—just under 4.5 hours total. I really didn’t know what to expect from this course. 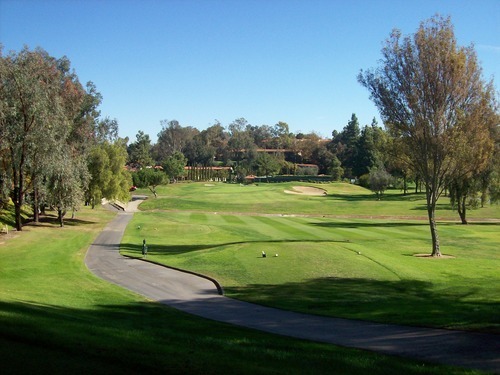 I knew it was tied to the Rancho Bernardo Inn, so naturally you can expect some nice amenities and services with a quality resort. It was a pretty nice place, so it lived up to expectations there. 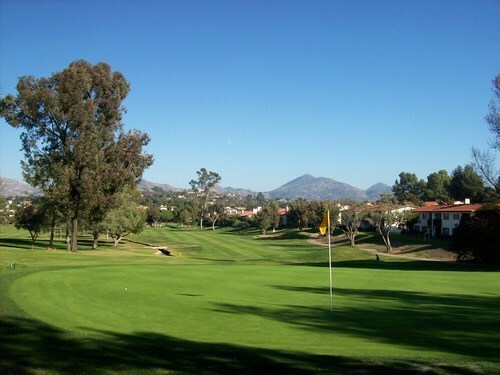 However, given the course’s location in the hills of northern San Diego (just a bit south of Escondido along the I-15) and what I’ve come to expect from other courses in the region, Rancho Bernardo left me feeling a bit “flat”—both literally and figuratively. It’s a decent design, but nothing too inspiring or interesting. In my head, I was expecting some more hilly terrain, but the changes in elevation were very minor. There’s a good variety of hole lengths and designs, so it’s enough of a test to keep it interesting. It’s not as forgiving as some other “resort” courses, but not super difficult either. 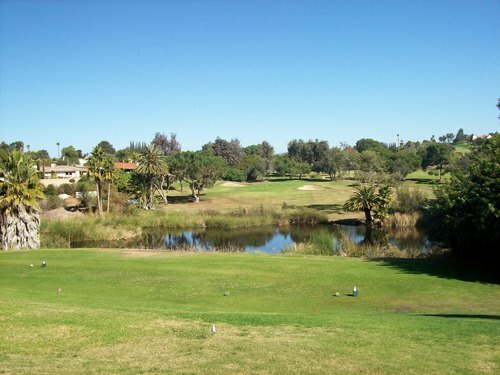 There are a lot of OB areas as the course is surrounded by homes and there are some small creeks and ditches that run throughout, but most of the trouble is fairly easy to avoid with smart play. 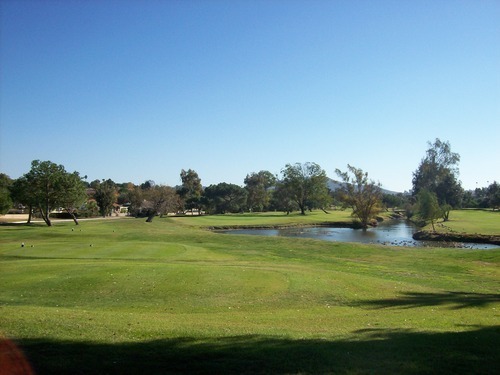 The back nine is more interesting than the front, and the highlights for me were the finishing holes 15-18. 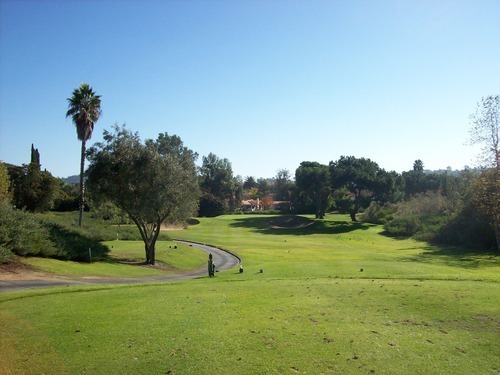 Those were all fun holes, culminating in a very tough 18th that’s a dogleg right par-5. 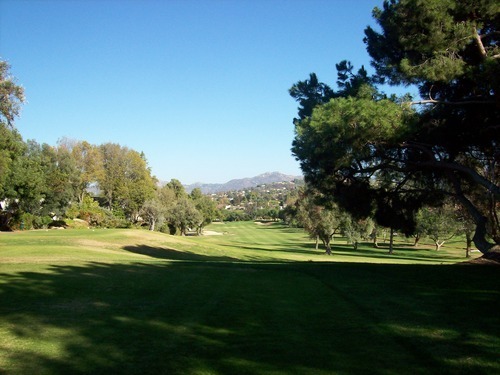 Once you get around the corner, the fairway tightens up a lot with water on the left and trees on the right. 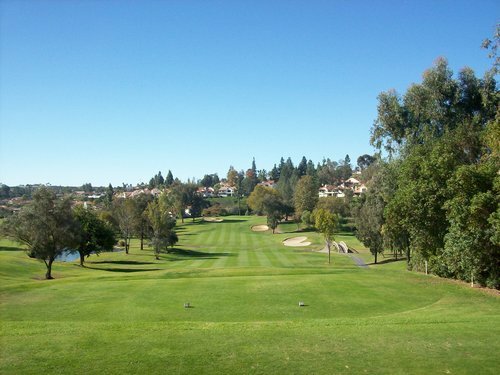 It’s an uphill finish to a big three-tiered green that’s also protected by water in front. All in all, I’m not sure this course has any real “character.” It’s a solid track, but nothing terribly memorable. It didn’t help that the conditions weren’t anything too great either. I knew from the latest GK reviews that they were working on a major irrigation project on the course, which helped explain the lower rates. Right now, that construction only significantly affects the 3rd hole. 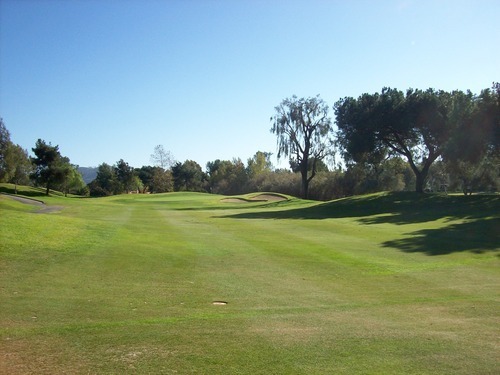 Normally a par-5, it’s playing at 410 yards now with all four tees grouped together. Otherwise, the rest of the holes are playing normal as of now. From tee to green, the front nine seemed a bit beat up. It seems like that’s where most of the irrigation/construction work is focused right now. 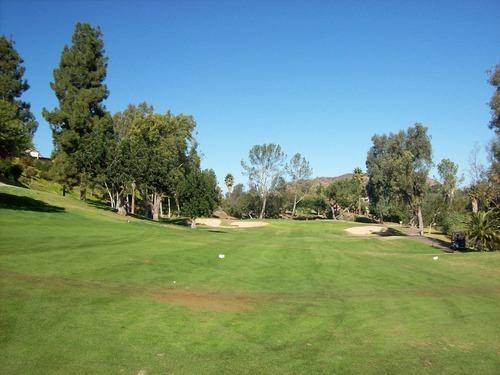 The fairways had a lot of brown and thin areas, with some muddy patches, as well. The rough was kind of a mess—very patchy with a lot of muddy areas, some super deep clumps of rough and some thin/dry areas all mixed together. The back nine was in a little nicer shape overall. 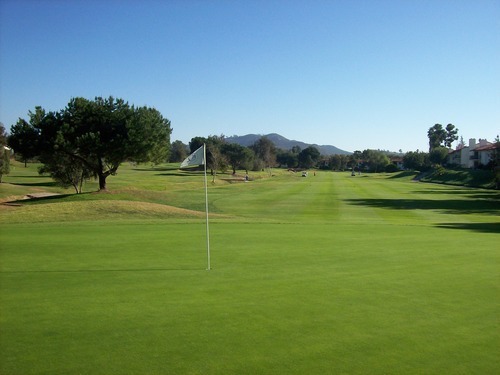 The fairways and rough were more lush and green, though there were still some patchy areas. For the most part, though, the back nine was in pretty decent shape. The tee boxes were nice and level throughout. A few on the back were a bit shaggy, though, but not too bad. I wasn’t in any greenside bunkers. I was in one fairway bunker and it was pretty thin and crunchy. From what I could see from my playing partners, the greenside bunkers looked about the same, so I was glad I avoided them. 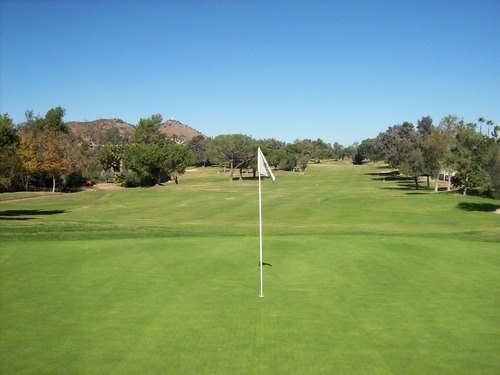 The greens were the highlight of the course condition-wise. Though they were still recovering a little bit from aeration (a few very minor bumps here and there), they were running well and starting to look real nice. 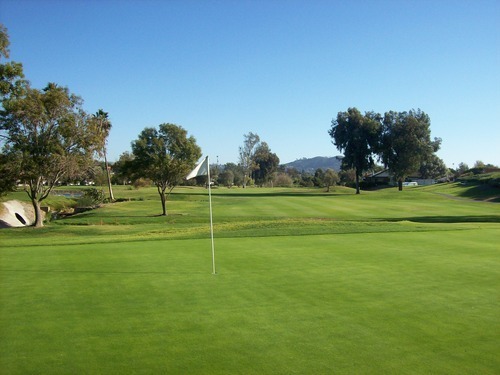 For the most part, putts were rolling very smoothly and at ideally quick speeds. They were also very receptive on approaches, which I always appreciate. I’m thankful (pun intended) I got a really good deal to finally play this course, so it was definitely worth what I paid today. However, when I play a course like this that is usually expensive, I always tend factor the normal pricing into my overall judgment. Even if it were in pristine condition, I probably wouldn’t ever pay full rack rate for this course. Keep in mind I grabbed a hot deal on GolfNow, which is usually only one or two tee times a day that have special low rates. 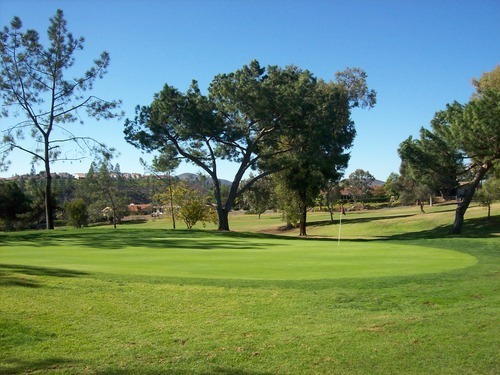 I think the rest of the “normal” Rancho Bernardo rates for this morning on GolfNow were around $70-80. If I had paid that, I would be much less forgiving in my review. 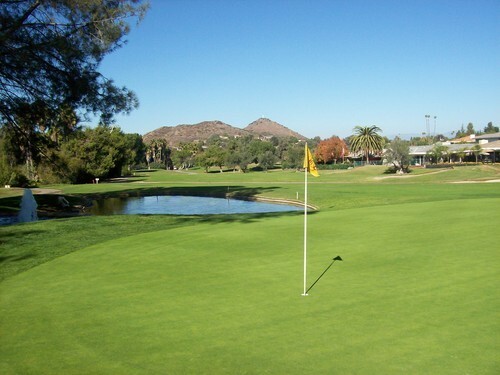 The facilities and service elements are nice because of the direct ties to the Inn, so that jacks up the price too much for us average weekend golfers looking for deals. I do appreciate when a course lowers their rates a bit when it’s not in peak condition or work is being done, so that is a plus for RBI in my book. Still, there are still plenty of other places I’d rather play in the area that have much better standard rates and offer more interesting layouts.